Server availability might be critical to your business, but you don’t have to settle for a “cool at all costs” approach. Our server room cooling solutions utilise efficient new technologies, such as free cooling, to help your IT budget go further. With our custom-designed systems, you can enjoy better reliability within your data centre, switch rooms and comms rooms of all sizes. You could even save thousands over the life of your equipment. From our headquarters in Sheffield, we design, install and maintain server room A/C solutions throughout the UK. Server room air conditioning solutions from Bradley Refrigeration are built upon high-specification equipment from quality manufacturers, including Airedale and others. You can count on the precision and reliability of our machinery. Our solutions are custom-designed for your unique server room requirements. That can include precise control over every aspect of your server room climate: from cooling to heating, from humidity to air flow. All at a highly competitive cost. 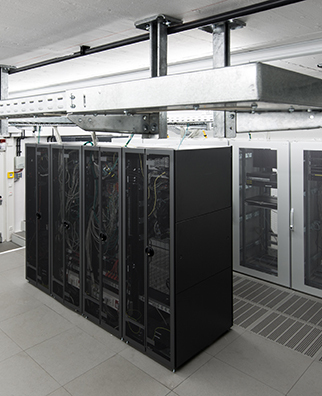 Our server room AC solutions are at the forefront of cooling technology. For example, our super-efficient ‘free cooling’ systems draw in outdoor air to cool your servers at almost zero cost – for up to 10 months per year. Ask us for more details. Servers that operate in a precisely-controlled climate suffer less downtime. That means fewer disruptions, and a smaller spend on equipment. We offer cost-effective maintenance plans and a 24-hour engineer service. So you benefit from lower costs, and fewer faults. Find out how our custom A/C solutions can meet your server room cooling needs, anywhere in the UK. Call our team in Sheffield on 0114 236 9971 or email us for a free survey and competitive quote.